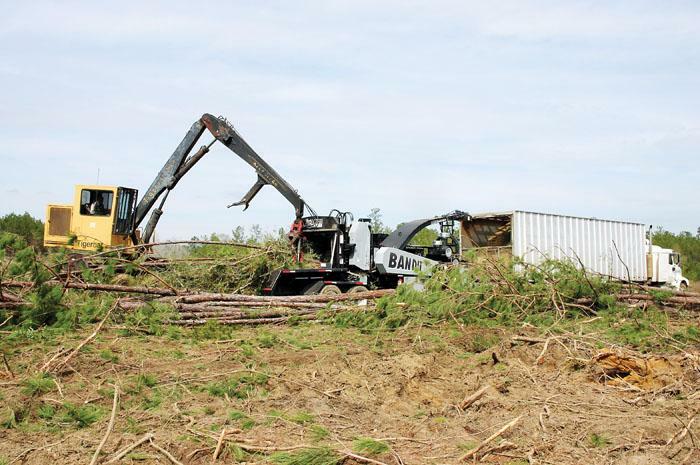 Southern Loggin’ Times’ April issue spotlights Texas logger Brad Hassig, owner of Prime Acres Management, who is now delivering biomass chips as the first supplier of Southern Company’s Nacogdoches power plant in Sacul. Also featured is Florida’s Bill Harrison, who knows how to change specialties when the market demands it. The 39th annual J.M Wood Auction is highlighted for enjoying robust activity. 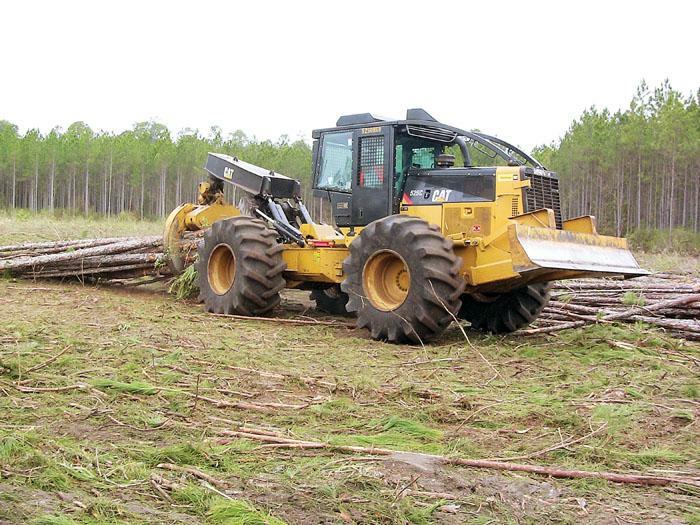 An article discusses how prevention is the best bet when it comes to theft and vandalism of logging equipment. 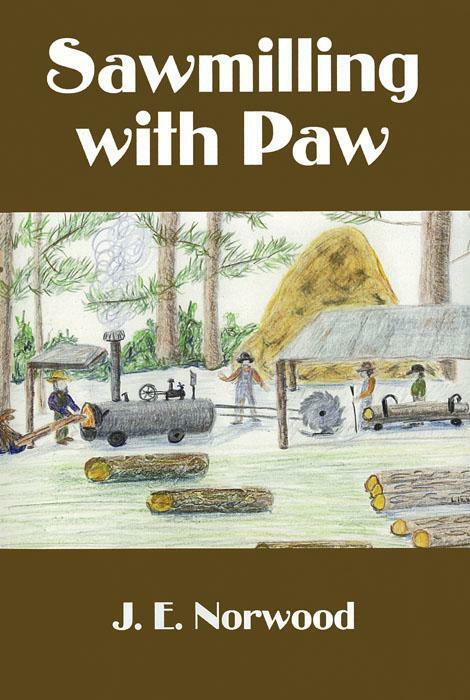 Continue reading the serialization of Sawmilling With Paw. Last November, Prime Acres Management Inc. delivered the inaugural load of biomass chips for Southern Company’s Nacogdoches power generating facility in Sacul, Tex. The delivery marked the start of the testing phase in the extensive process of commissioning the new renewable energy power plant. Bill Harrison, 59, owner of Harrison Logging, Inc., is always going from one place to the next, spending his days overseeing the four crews he fields. Two of those crews were working on different sections of the same tract when Southern Loggin’ Times visited in February. It’s a tract with which Harrison is quite familiar. He’s been working in these 16,000 acres for 25 years, coming back to different parts of it every year. It was formerly Ocala Lumber Co. land but has now been acquired by Adena Springs South, a livestock company based in Williston. The current job is to clear 19 separate 160-acre circles, as the land is being converted for organic cattle. Over 2,300 registered onsite and online bidders from around the world gathered at J.M. 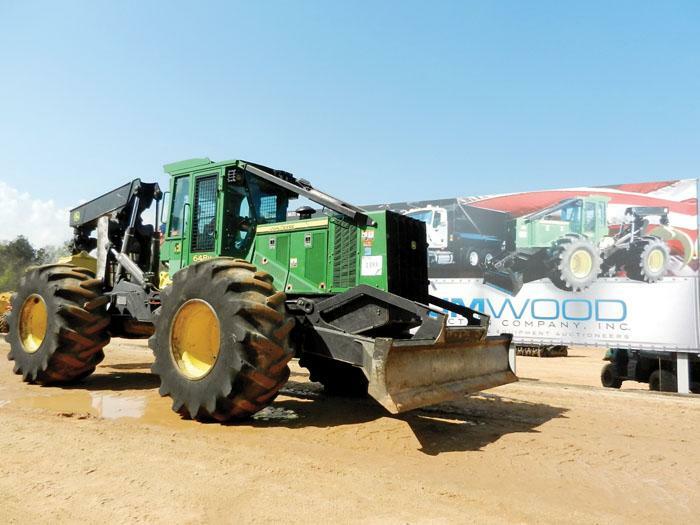 Wood’s 39th annual Spring Forestry and Construction Montgomery Auction to bid on the impressive line-up on display. Highlights included a very nice spread of 2010-2008 year model Caterpillar and Prentice equipment from Lower Dixie Timber of Thomasville, Ala., as well as a package of 2011-2010 Deere and Tigercat equipment from a Georgia logger. Many loggers, like Lower Dixie, update their equipment fleets every three years and utilize the auctions to sell their used equipment, allowing them to use the proceeds towards their new machines. 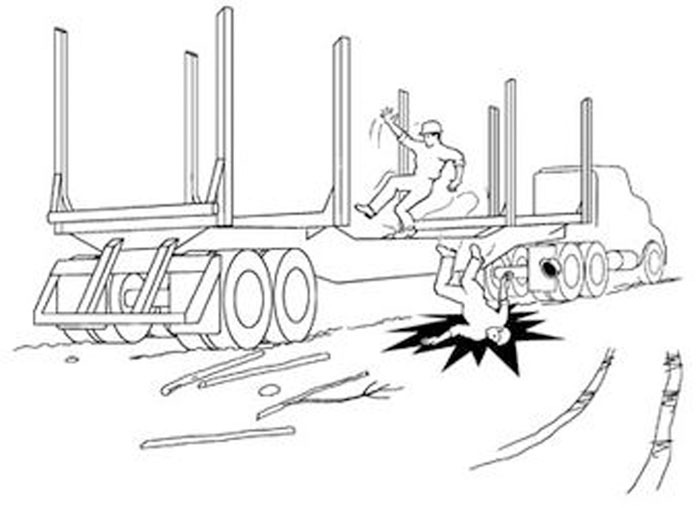 Many loggers have unfortunately had experience with vandals or thieves who target logging equipment. 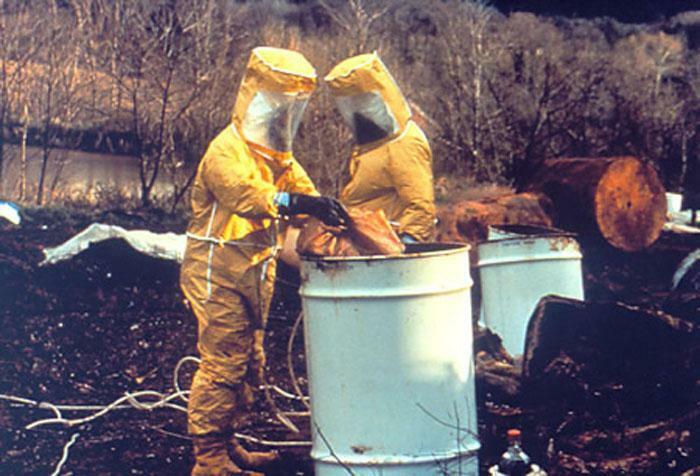 While many of these incidents may be relatively minor, others can be very expensive. 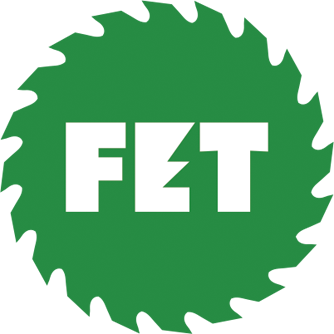 The cost of replacing or repairing equipment is always compounded by downtime and lost production. With bad weather, regular maintenance and mill quotas, you don’t need anything else to cause trouble. “I got a story to tell you,” Davis said, walking from his office to the front desk, his heels tapping against the worn hardwood tile with each step. That was his trademark, and had been for all of his decades in the business: shiny cowboy boots, and a pair of slacks that were just a little too short. Caterpillar sent this and other photos to SLT three decades ago and the editors created an article about the then Union Camp-connected wet-site chipping operation of Ben E. Babb, Inc., Courtland, Va. 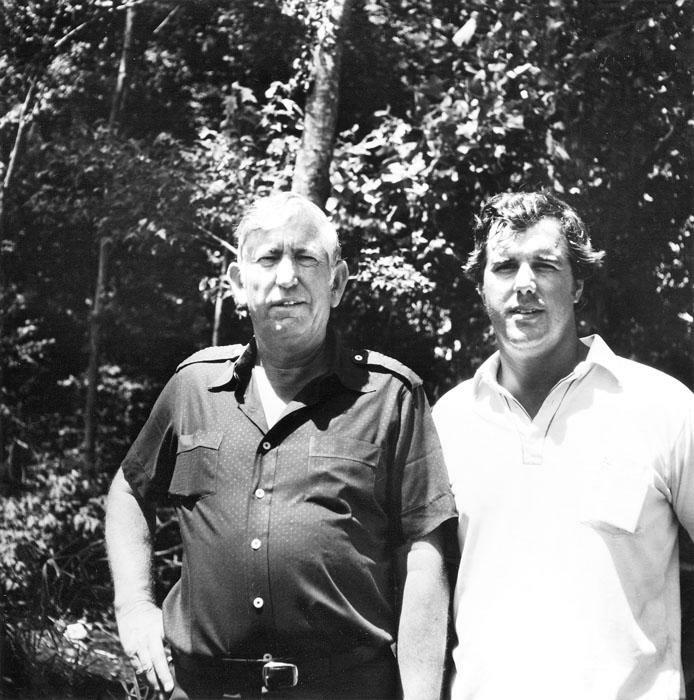 Always a productive innovator, Babb, left, eventually handed off his entity to Jerry Rose, right, his son-in-law, who continues chipping in the Babb tradition. Babb, now deceased, tested one of the industry’s first skidder prototypes (Clark) in the mid ’50s and also helped in getting Franklin Equipment Co. up and going in the early ’60s. On February 16 I had the opportunity to go to Washington, DC to give both written and oral testimony before the House Subcommittee on Oversight and Investigations Committee on Energy and Commerce. I discussed the current rules and regulations that affect our logging company, Cross & Crown, Inc., and thousands of logging and forestry companies across the country. In hydraulic oil, typically less than 0.1% water is considered excessive. Water can slow the filtering process; react with additives in the oil to produce other contaminants or acids; and reduce the lubricating effectiveness of fluid. Less lubrication, or lower viscosity, means that components are more likely to experience metal-to-metal contact, producing metal shavings. BACKGROUND: On a fall day in the Appalachians, a truck driver was clearing the loose bark and wood debris off his log trailer at a mill woodyard before pulling out to the public highway. Conditions were wet.